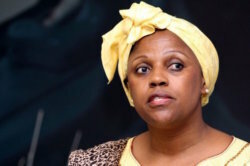 The Organisation Undoing Tax Abuse (OUTA) welcomes Finance Minister Malusi Gigaba’s confirmation that Dudu Myeni will not serve another term on the board of South African Airways. Myeni was appointed to the SAA board in October 2009 and has chaired it since 2012. The one-year extension to her term expires on 31 August. Gigaba has indicated that a new board chair will be appointed at the SAA AGM in August. 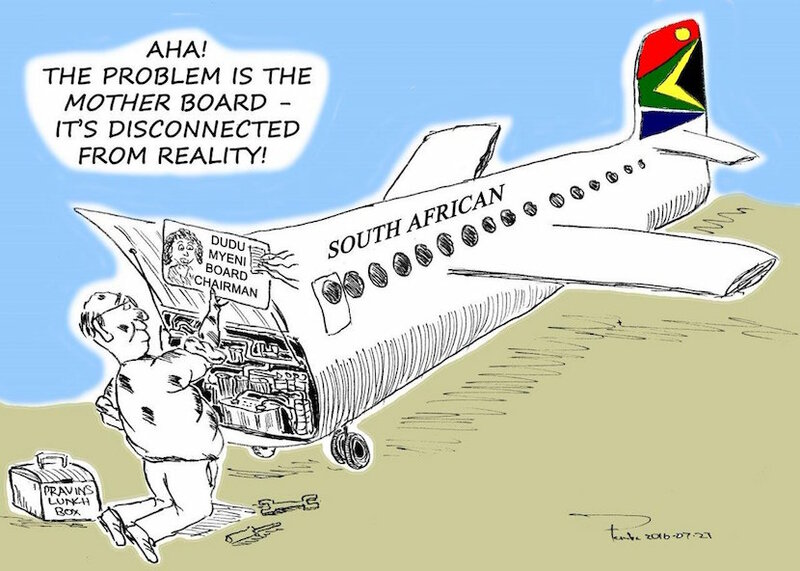 “SAA has stumbled from crisis to crisis under the leadership (or lack thereof) of the ill-equipped Dudu Myeni, forcing Treasury to bail out the embattled airline with either direct investments or guarantees,” says Ben Theron, OUTA’s Chief Operating Officer. The critical position of CEO must still be filled with a competent and knowledgeable candidate who can start turning this organisation around. This position is too critical to be a filled with an incompetent deployee. 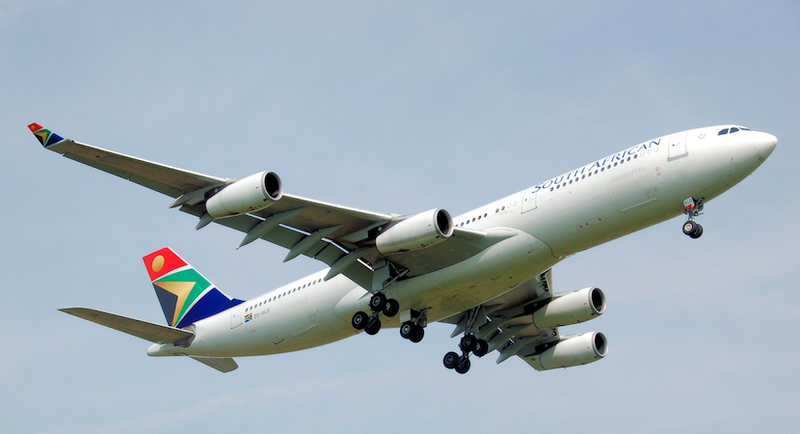 SAA continuously posted losses during Myeni’s tenure, the airline was repeatedly bailed out by taxpayers and, in December 2014, the airline’s administration had to be transferred from the Ministry of Public Enterprises to the Ministry of Finance to stabilise the finances. Myeni lied to her board and the Minister regarding the procurement of airplanes and authorised the payment of exorbitant cancellation fees to questionable suppliers. 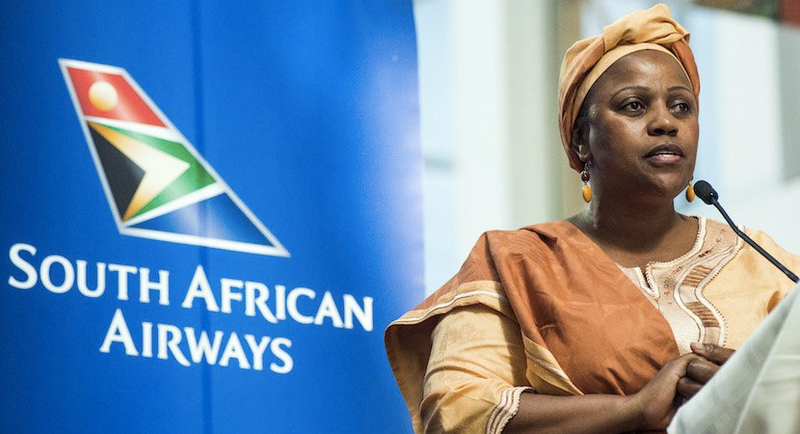 In June OUTA and the South African Airways Pilots’ Association launched legal proceedings against Myeni, asking the Pretoria High Court to declare her a delinquent director, which would bar her from serving as a director, a senior executive or on any boards for at least seven years. Myeni has denied wrongdoing. Our case continues. In November last year the Companies and Intellectual Property Commission (CIPC) issued a compliance notice against Myeni, finding that she had breached the duties of a director and ordering her to notify formally the SAA board and Minister of Finance of this. She did so, then tried to get this overturned but this was denied. Johannesburg – According to Finance Minister Malusi Gigaba, the appointment of a CEO for South African Airways (SAA) will be finalised by the end of July 2017. Gigaba was speaking at a briefing at the JSE on Thursday where he revealed a 14-point action plan to revive the economy. Each action item has a minister assigned to it along with a deadline. Details of the plan will be revealed at the mini budget in October, he said. Treasury will monitor the implementation of the plan, and according to Gigaba the deadlines will be effective. Gigaba warned of tough times ahead and said the economy is strained, with a growth target of 1.3%. The 14-point plan aims to boost confidence in the economy and was drawn up following consultation with the president, several ministers and stakeholders such as ratings agencies and investors who raised several concerns. The plan seeks to address issues at the local airline, which is an action item on its own. According to this, Gigaba will appoint a chief executive by month-end. Other deadlines include the finalisation of the five-year turnaround plan, which he is responsible for. The deadline for this is December 2019. Gigaba will also oversee negotiations with lenders to extend debt to the airline for the longer term. This will be finalised by October 2017. The board has made a submission about their preferred candidate to him, having followed due process. “I have applied my mind, prepared a Cabinet memo and submitted the memo to Cabinet.” The appointment should be finalised following the next Cabinet meeting, he said. Treasury recently gave the airline a R2.2bn bailout. Gigaba assured journalists that this was within the fiscal framework, Fin24 previously reported. This followed after Standard Chartered pulled out as a lender to the airline. Gigaba said that other lenders remain committed to the airline. “So much has happened at SAA. So many CEOs have come and gone. None of them have stayed long enough to achieve what is possible. 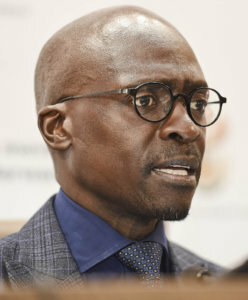 Gigaba said a CEO experienced in running companies as large as SAA is needed, someone who could “grab the bull by the horns” and make SAA what all South Africans wish it to be. This decisive action, according to Gigaba, shows lenders that the loans given to the airline are taken seriously.